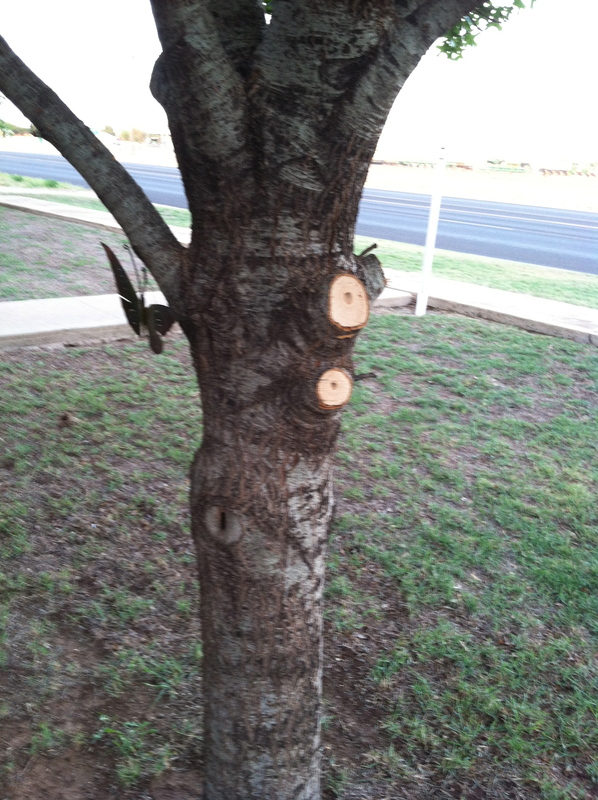 April 29, Husband did some pruning for me. It’s amazing how fast things get so over grown so quick. We could’t get under the oak trees in the front yard to mow, they needed pruned. 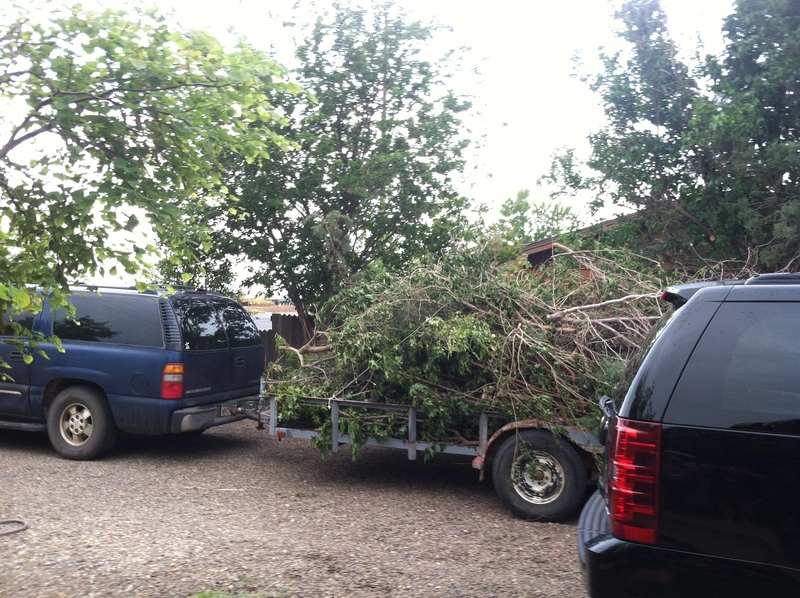 We heaped lots of branches onto a trailer. HEAPED! This pic is after he had tied it down. A day or so later as I was watering or maybe looking out the kitchen window, I saw the raw wood on the trunk of the tree where we cut the branch off. It catches your eye because it stands out so, It looked kind of pretty, but at the same time kind of sad, the tree had lost a part that it had been growing for years. As I looked closer, I saw a spot just below the new cut, where we had cut a branch years ago and the cut was now grown up into the bark. You can still see the scar but the cut is no longer fresh and raw, it has healed over the years. There is a scar from an obvious wound but it has repaired itself and continued to grow and thrive. It just struck me that this is like grief. When it’s new, it’s so raw, when a few years have gone by it’s still there with its scar, it will never go away. But thru time and growth that raw wound heals. We carry our scars and our grief with us forever, sometimes it’s just below the surface and fresh like that new cut, then other times its almost invisible. I’m thankful for God’s Grace and Comfort to get us thru those raw times. 2 Corinthians 4:16-18 That is why we never give up. Though our bodies are dying, our spirits are being renewed every day. For our present troubles are small and won’t last very long. Yet they produce for us a glory that vastly outweighs them and will last forever! So we don’t look at the troubles we can see now; rather, we fix our gaze on things that cannot be seen. For the things we see now will soon be gone, but the things we cannot see will last forever.